Rebecca Zung, Esq. and Susan Guthrie, Esq. discuss the difficulties that can arise during and after divorce when third parties get involved in the situation. The New Spouse. The Step-Kids. The Parents. The Friends. Divorce is complicated but it gets even more so when third parties get involved - and they ALWAYS get involved! What do you do when your ex has a new significant other? What if your new stepchildren don't like you? How do you handle your parents' and friends' well-meaning advice? 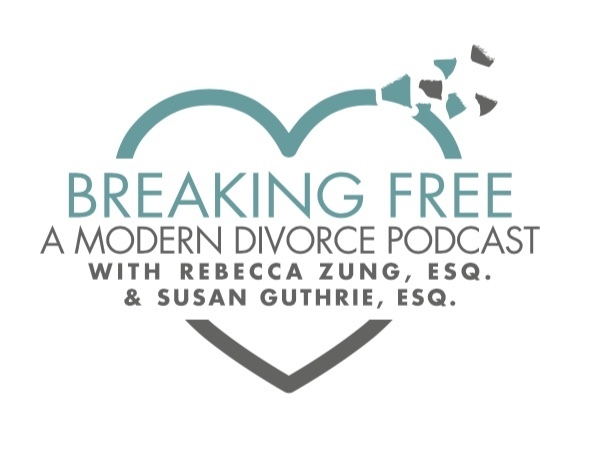 These situations and complications are sure to arise at some point and in this episode Susan and Rebecca share tips and pointers on how to handle things based on their many years as divorce attorneys and ALSO from their own personal experiences of divorce, being parents and step-parents and more. Third parties WILL interfere in your divorce at some point - listen to this episode and BE PREPARED! Scott Picard Update: As Scott mentioned in his episode, "From Chaos to Clarity: Using Meditation and Mindfulness to Deal With Life's Transitions" #117, he is suffering from kidney failure and is in need of a transplant. Recently, a Go Fund Me campaign was started to help with his growing medical bills and to help defray the transplant costs. If you are able, please consider donating at Kidney for Scott. Thank you! FAYR Co-Parenting App - For more information on the co-parenting app FAYR created by Michael Daniels listen to Episode #123 "The Insider's Secret to Seamless Co-Parenting" and visit FAYR.com. For listeners of the podcast, Michael is offering 20% off membership fees through the end of January, 2019 using the code "BRKFREE!”.